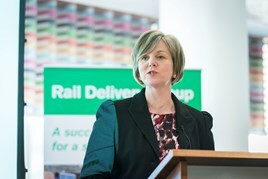 Shadow Transport Secretary Lilian Greenwood says that plans to roll out smart ticketing in the North have stalled, claiming that just 1% of stations are fitted with smart ticketing readers and that an Oyster-style smartcard system has been rejected. The Government has pledged £150 million to introduce smart ticketing across northern England. But although she says an equivalent to London’s Oyster scheme appears to have been dropped, Greenwood points out that some alternative contactless and mobile payment systems still require contactless ticket readers. Transport for the North (TfN) says it will set out an implementation plan for delivering “smart and integrated travel” across the region by March 2016. TSC will investigate the East Coast franchise as well as the role of Network Rail and Government.